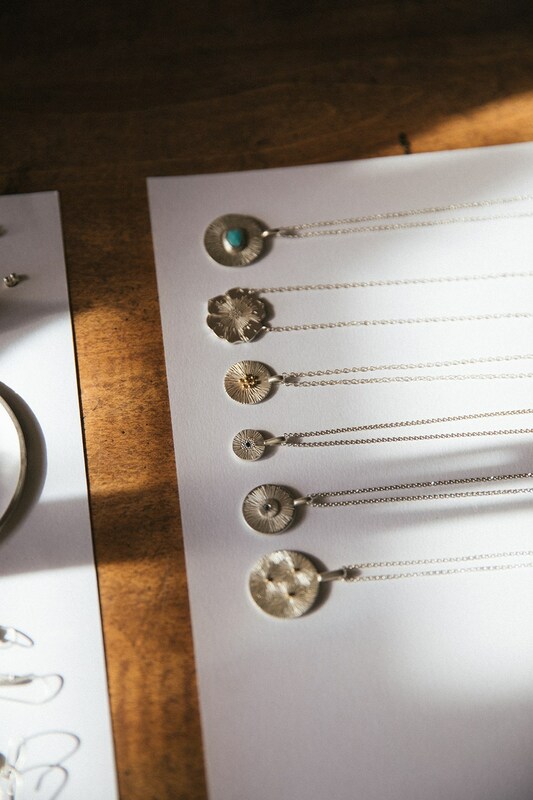 Today we're thrilled to chat to Corkie Bolton, a talented metalsmith from New York. We chat to Corkie all about starting the Instagram account, Metalsmith Society, a space to connect with fellow jewellers by sharing tips and trade secrets. 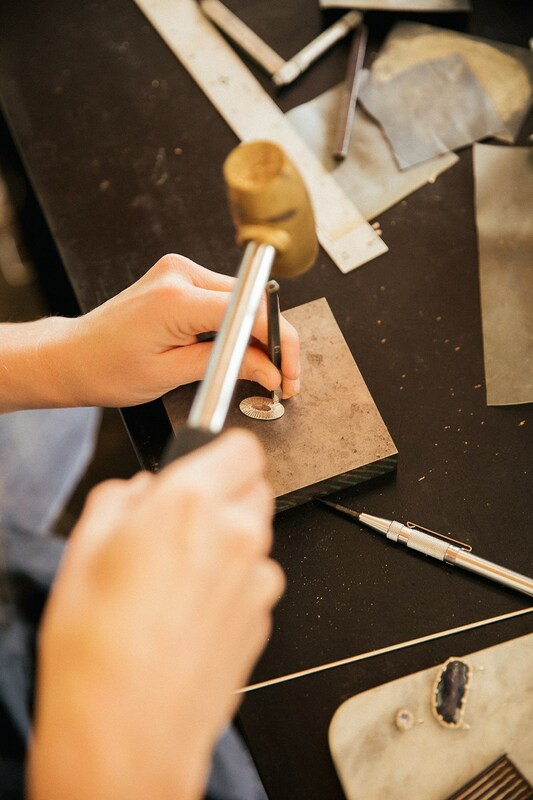 The page has become a huge hit among jewellers from across the world and it has become a community space for jewellery makers to get involved, whether they're a beginner or full time metalsmith! Let's hear from Corkie all about the inspiration for starting the account, her favourite tips she has learned along the way and how you can get involved too. Hi Corkie, tell us a little bit about your jewellery making background! I started my jewellery making journey in High School, I was so fortunate to have that experience because I fell in love and knew I wanted to study jewellery in college. I went on to get a BFA from Pratt Institute in Brooklyn, New York. Since then my path has not been linear. After graduation I worked for jewellers then started a new career as a personal trainer, then came back to teaching jewellery and finally launched my own collection in 2016! There were two main reasons I started Metalsmith Society, the first was I desired more from my Instagram experience. I had been hustling hard with my @corkieboltonjewelry account and I felt like I was putting maximum effort into my work, images and content with very little engagement. I decided to start a page where I would not care about the amount of followers I had but instead focus on sharing interesting information that would help myself and others. That brings me to my second reason I started the Metalsmith Society page - I found myself as a jeweller with very few people I could turn to when I needed to troubleshoot a problem. Historically the jewellery industry has been tight-lipped about their trade secrets, many taking their knowledge to the grave. I knew there were others like me, that would be happy to help others and share what they knew. I am constantly filled with gratitude by the generosity of the members of this community in openly sharing what they know. What content can people expect when they follow the Instagram account? I post a daily tool, technique or tip from jewellers all over the world. As long as it's not proprietary information that would allow another jeweller to copy someone else's work I will share it. I've also begun a mini-series recently where I am showing off a rolling mill over the course of a few months, as a tool like that requires multiple posts to show off all that it can do! Metalsmith Society has grown rapidly over the last year - why do you think it’s been such a hit among jewellers? I believe I was not alone in looking for a community. 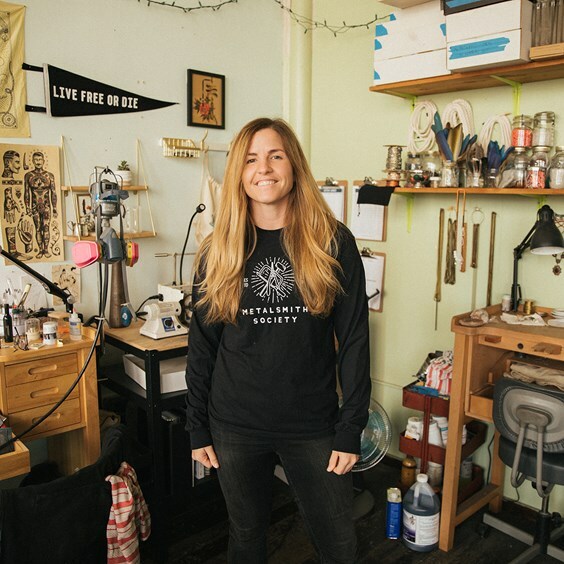 The three pillars of Metalsmith Society are "KINDNESS, COMMUNITY, + EDUCATION", I think it's crucial that people feel safe and comfortable to ask questions. We were all beginners at one point and there are no stupid questions and no judgements. I also know that the numbers of self-taught metalsmiths is rapidly growing and for those folks, this page has been especially helpful. What are your top 3 favourite tips you’ve discovered since starting the page? 2: Using distilled water in your pickle pot, tumbler, ultrasonic (essentially everywhere) instead of tap water which can be quite hard (and filled with iron). 3: Using a refillable watercolour brush to paint on your patina (must be entirely made of plastic) from @williamcobbjewelry. How it has connected me with jewellers all over the world. Last year I needed some help with mastering flush setting and I was able to video chat with Instagram friends in Atlanta, Georgia and Australia and they all helped me tremendously. 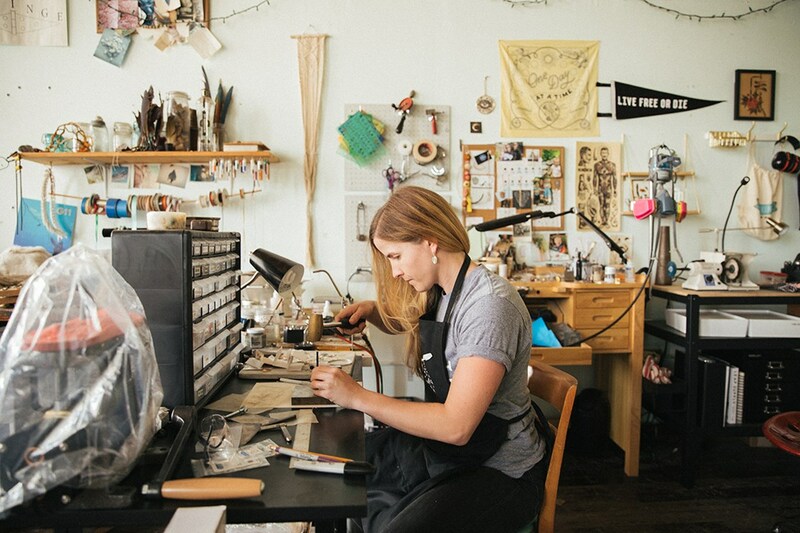 Why do you think there’s such a wonderful community behind jewellery makers? I think our community is wonderful because it's comprised of artists and small business owners who all understand how much we depend on the support of others for our businesses to succeed. Spreading kindness and knowledge on Instagram helps people stay inspired and keep their chin up when times get tough. It feels good to cheer others on when they are killing it and lift them up when they need support. What advice would you give to someone wishing to start making jewellery but doesn’t know how to start? Before investing in tools I would absolutely take a workshop or class. It's such a wonderful experience to do a project under the guidance of a more experienced jeweller. 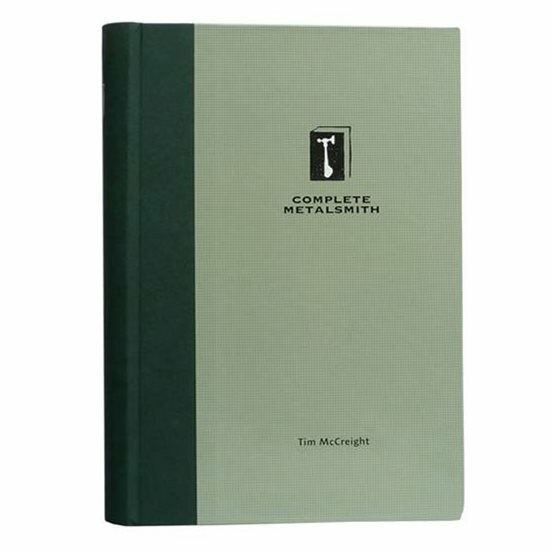 If you decide you've been bitten by the jewellery bug then purchase some jewellery making books, Complete Metalsmith by Tim McCreight is an essential book to start with. If I have a tip, how can I share it with you? I LOVE receiving tips! Please email me at corkie@metalsmith society.com, you will need to include at least one image (multiple images and videos are great) a caption explaining the tip, and your Instagram handle. If you don't have an Instagram handle I can credit you by name. Is there anywhere else to access information if people don’t have Instagram? Yes, please visit my website metalsmithsociety.com which has a blog, a list of book recommendations and a (growing) page that lists jewellery workshops and classes all over the world. Get involved and follow Metalsmith Society here.